You’d be forgiven if you thought Amazon was finished announcing new hardware after last month’s massive Echo event. The retail giant has at least a few more announcements up its sleeve, starting with updates to the Fire TV line. The new TV Stick 4K and refreshed Alexa Voice Remote are up for pre-order today. At $50, the revamped Fire TV Stick 4K features a new quad core processor, promising faster streaming and quick loading. The updated TV dongle also adds Dolby Vision and Dolby Atmos and features access to 500K movies/TV episodes, an array of apps and an Alexa voice interface via remote or nearby Echo. The news follows Roku’s recent move to bring down the cost of its 4K-ready streamers, with its new $40 and up Premiere line of players. There’s also a new Alexa Voice Remote on the block. The new peripheral sounds like much more of a universal remote than its predecessor. The device sports Bluetooth and multi-directional infrared, letting users control TVs, AV equipment and cable boxes, among others. There are buttons for power, volume and mute, but the voice is really the thing here, naturally. It’s compatible with just about all of Amazon’s Fire products. It ships as part of the $40 Fire TV Stick 4K package, or comes bundled with the Fire TV Cube for $120. You also can buy it solo for $30. Along with the new voice remote, Amazon is giving you more ways to search using your voice. The company says it added new voice control capabilities to a range of apps, including A&E, AMC, Sony Crackle, Hallmark Movies Now, HBO Now, HISTORY, IFC, Lifetime, and VH1. These join Netflix, Prime Video, Hulu, SHOWTIME, and ESPN which were already voice-powered. 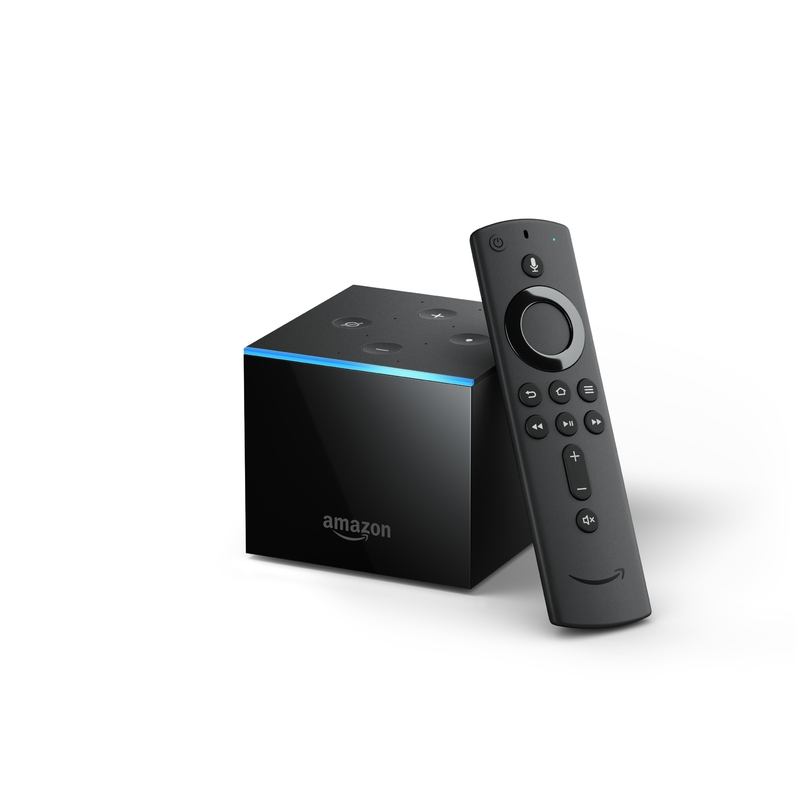 “We’ve listened to our customers and pushed to deliver the complete 4K solution they are looking for, all within a compact stick form factor,” said Marc Whitten, Vice President, Amazon Fire TV, in a statement. “The team invented an entirely new antenna technology and combined that with a powerful 802.11ac Wi-Fi chip that optimizes for the best possible 4K UHD streaming experience, even in congested network environments. Our new quad-core processor delivers a fast and fluid experience and support for Dolby Vision and HDR10+ provides an amazing picture,” he added. The Fire TV Stick 4K starts shipping on Halloween in the U.S. and Canada. It will arrive in the U.K., Germany and India in November and Japan before end of year. In addition to the new device, Amazon also announced a Fire TV Recast bundle, which includes its DVR for recording and watching live over-the-air TV, a 35-mile HDTV antenna, and Fire TV Stick 4K for $249.99, or a savings of $50.